The Deep State -- i.e. 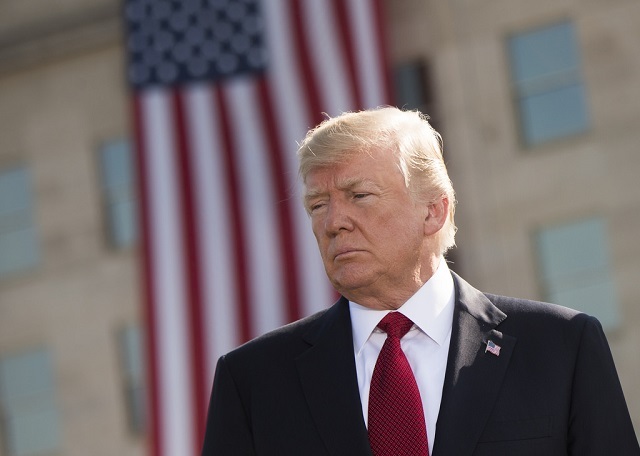 the constellation of national security agencies and private actors who have directed and maintained our globalist foreign policy since the end of World War II -- would have targeted Trump in any case, due to his hostility to their interventionist foreign policy. And yet I believe they would've gone after him anyway due to his populist outsider persona, which the self-appointed guardians of the Empire consider dangerous per se. The bottom line is that the intelligence services of the United States, and top officials of the FBI, have indeed launched a regime change operation comparable to the dozens carried out by these very same spooks over the years from Latin America to the Middle East. Like most of these campaigns, it's a multilateral effort, with the intelligence services of at least three "allied" countries involved. Co-authored with the Clintonistas, the Russia-gate hoax is their invention: it was the perfect pretext to conduct surveillance on a rival presidential campaign. For all the talk of "collusion," the real colluders were the Obama administration and the Clinton campaign organization who utilized the British "former" MI6 agent, Christopher Steele, and his infamous dossier. This fake intelligence was used by the Justice Department to justify spying on Carter Page, George Pappadapoulos, and other Trump campaign contacts. The regime-changers are operating on several levels at once. At the lowest level:� suddenly black-clad "Antifa" dromedaries appear in the streets, attacking Trump supporters -- and, in one case, Trump himself. The assaulter is later treated to a lionizing interview with CNN. At the highest level, top FBI and CIA officials deploy the assets available to the most powerful government on earth to harass, undermine, and betray a sitting President, subverting the constitutional order and establishing a fateful precedent. For the goal of this regime change campaign isn't just to get rid of Trump -- that's just the icing on the cake. The primary goal is to establish the Deep State's veto over who can -- and cannot -- inhabit the White House.